For months, I've been looking for "Blood Paradise" because it's basically the working title of the next Lestat book written by Anne Rice. No news have surfaced for quite a while and I was thinking maybe it isn't coming this year. And boom I have this great surprise, hearing about a new novel from said author, but it isn't the same title. That is because the title of the next Prince Lestat adventure is Prince Lestat and the Realms of Atlantis. Maybe becuase the marketing team is making a brand out of "Prince Lestat," just like book titles as "Harry Potter and the...". I have no qualms about it! So here is the official cover and synopsis. Check out the cover of Prince Lestat and the Realms of Atlantis by Anne Rice. 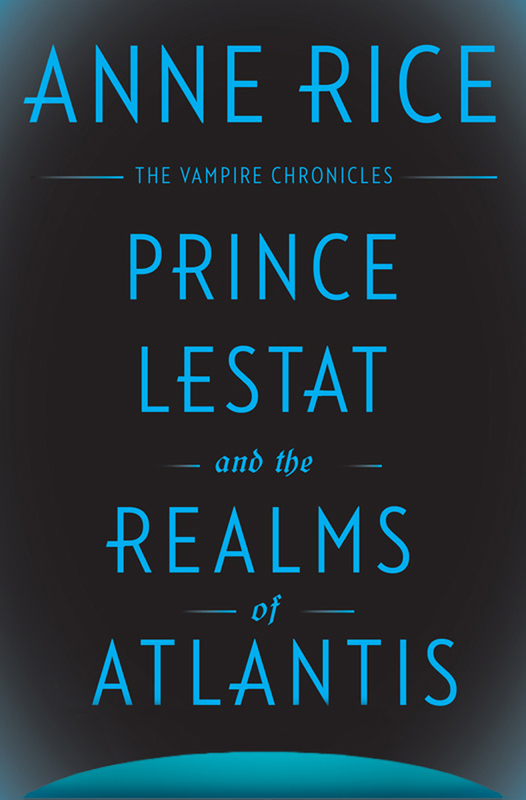 Prince Lestat and the Realms of Atlantis by Anne Rice will be released on November 29, 2016.